Journal Ekonometria. 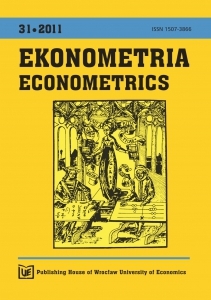 Econometrics has been published continuously since 1998. Starting from the first issue, Józef Dziechciarz has been an Editor-in-Chief of the journal. 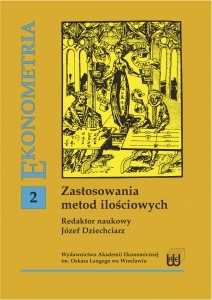 Until 2011, the journal was issued in the series of Academic Research Papers at the Wrocław University of Economics as Econometrics. Applications of quantitative methods. Since 2009, four issues were published annually. It enabled the introduction of regular quarterly release cycle. Each year, two Issues include the articles in English, two other in Polish. The Scientific Council of our journal also includes professors affiliated with foreign institutions. The list of scientific reviewers includes eminent scientists from both home and abroad. Among the authors of the publications are both scientists from Polish academia, as well as many scientists from foreign universities. The high level of scientific work, our confidence and insightful comments from reviewers contributes to publication of valuable articles and dissemination of national scientific achievements. Until the end of 2014, forty six issues of the Journal has been published. 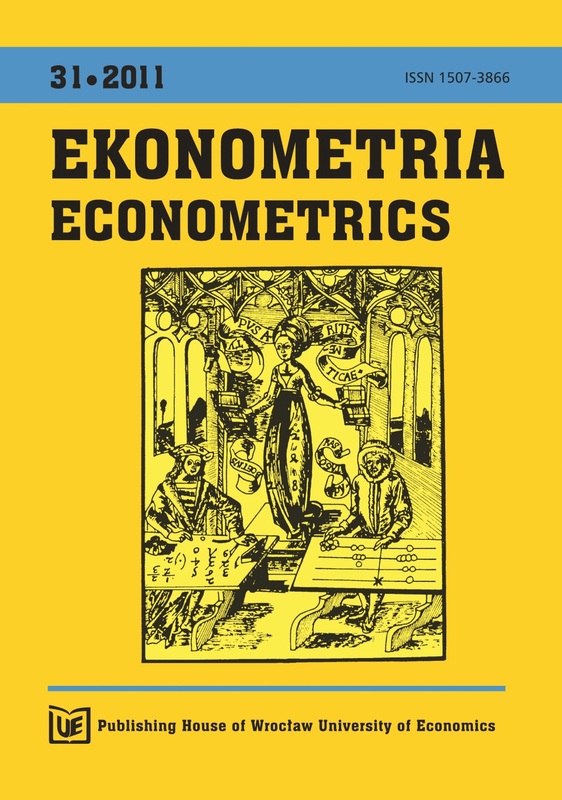 The subject area of the published articles cover theoretical and practical aspects of the methods of econometrics, statistics and mathematics. The domain of applications of these methods covers the wider economic issues, including macro and microeconomic analyses; statistical and econometric analysis and modeling market data, as well as capital investment and insurance problems. Social and demographic analyses cover the issues of education, employment and unemployment, poverty, etc. Many studies has cyclical character, published articles show long-term results of research; include a scientific discussion with the reviewers suggestions formulated on the basis of earlier works. This allows to track the progress of scientific research, and the publications appearing in the journal Ekonometria. Econometrics is an inspiration to undertake new research challenges. 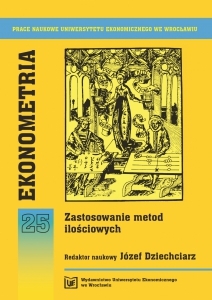 The authors from outside the Wroclaw University of Economics, whose scientific articles were published in many issues of Ekonometria. Econometrics, are: Helmut Maier (papers available in 6 issues), Piotr Tarka (6), Martin Pavlik (5), Agnieszka Sompolska-Rzechuła (5) oraz Iwona Bąk, Alicja Ganczarek-Gamrot, Małgorzata Machowska-Szewczyk, Małgorzata Rószkiewicz, Grażyna Trzpiot, Maria Szmuksta-Zawadzka, Jan Zawadzki. 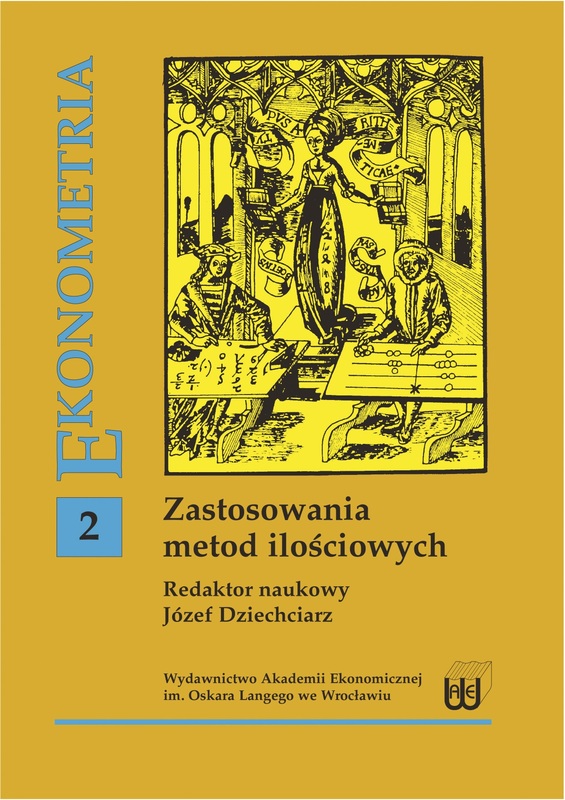 Authors from the Wroclaw University of Economics, who published articles in the journal Econometrics. 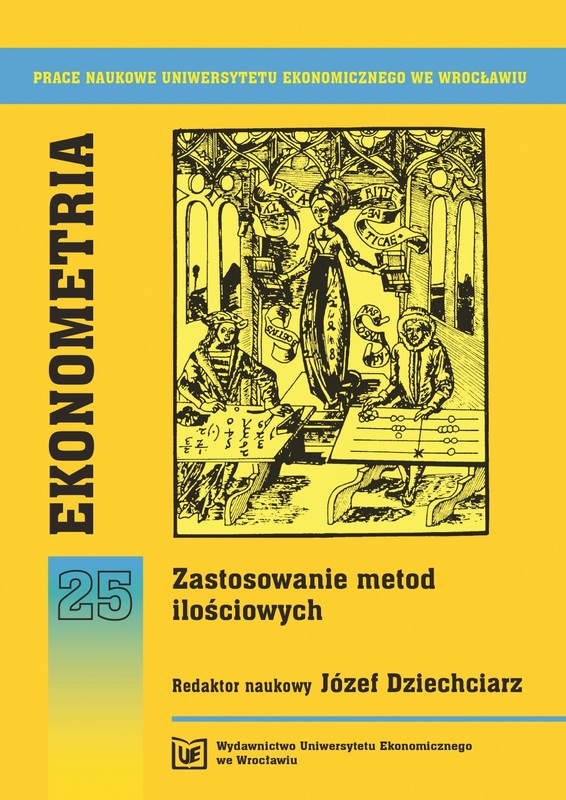 Econometrics most frequent, are: Alicja Grześkowiak (24), Agnieszka Stanimir (18), Danuta Strahl (18), Andrzej Bąk (16), Grzegorz Michalski (14), Aneta Rybicka (11), Justyna Wilk (10).